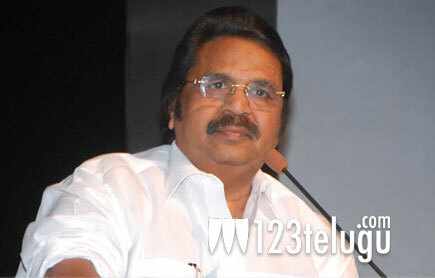 Dasari Narayana Rao is mighty impressed with the success of Nikhil, Swati starrer Swamy Ra Ra and he confessed that Telugu cinema will improve by leaps and bounds, if 10 more films like Swamy Ra Ra were made soon. “These days, almost every film has six songs and four fights; however, a lot has changed in Tamil, Malayalam and Hindi cinema. Several filmmakers are experimenting with the format and even the low budget films are making a big splash there. That’s one reason why I was so impressed with Swamy Ra Ra. It broke away from the cliched format of most Telugu films; however, I feel that injustice has been done to this film. While it was doing quite well at box-office, it was removed from several screens to make way for a big film. Had the distribution been in my hands, I would have ensured that the film ran for 100 days in 25 centres,” Dasari Narayana Rao said. Nikhil, Swati and Sudheer Varma, who directed the film, thanked the audience for appreciating their work.